On Feb. 7, 2013, the U-M community and the field of otolaryngology lost one of its greatest leaders, Charles J. Krause, M.D. He passed away in Florida, surrounded by his family. Krause served as chair of the U-M Medical School’s Department of Otolaryngology from 1977, when he was recruited to Michigan, until 1992. He remained active on the faculty until 2000, and served in leadership positions in the Hospitals and Health Centers and Medical School. He was founding president of M-CARE, the health plan formerly owned by U-M. He earned his medical degree in 1962 from what was then known as the State University of Iowa, now known as the University of Iowa. After completing his otolaryngology residency there, he joined the Iowa faculty. Once at Michigan, Krause helped transform the department, including introducing specialty divisions into the faculty members’ academic physician practice; recruiting new faculty; improving the clinical facilities where ear, nose and throat care was provided; and bolstering basic research and residency training. In addition to his role as department chair, he served U-M as the chief of clinical affairs, senior associate dean at the Medical School and senior associate hospital director. He led the development of M-CARE, a health plan launched by U-M in 1986, and served as its first president. He directed strategic planning for U-M’s first satellite health care facilities off the main medical campus. 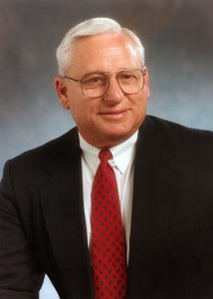 On a national level, Krause served as president of organizations such as the American Academy of Otolaryngology-Head and Neck Surgery, the American Society of Head and Neck Surgery, the American Board of Otolaryngology and the American Academy of Facial Plastic and Reconstructive Surgery. Krause is being remembered as a calm and thoughtful visionary, who led by building consensus and bringing people together, and mentored dozens of trainees toward successful careers. In November 2012, he and his wife Barbara attended the first installation of the Charles J. Krause, M.D., Collegiate Professorship in Otolaryngology, an honor given to Carol Bradford, M.D., FACS, chair of Otolaryngology. The professorship will ensure that the department chair embodies Krause’s ideals and promotes an environment that fosters excellence and integrity in clinical care, education and research. In lieu of flowers, donations may be made in the name of Charles J. Krause to the Lymphoma Research Foundation or the Department of Otolaryngology.